Play is training for unconventional and creative living. One could say play is a radical act – for adults! When we allow ourselves to live as authentically playful beings, we stand out from the crowd, from the ways we, and others, are expected to be. As we grow up, we lose our spontaneity and freedom. Look at how children behave. They twirl around street posts and skip over lines while the rest of us walk straight down the sidewalk. They dance carefree to a busker’s music while the rest of us stand and watch. They engage strangers like friends while we offer only a generic courtesy. They speak up fully and emotionally, while we keep our voices and emotions in check. They dream up ideas such as being a butterfly and flying across the sky, while we limit life to what’s “realistic” and practical. They colour monkies purple, when we only know brown. Clearly their playground is much bigger than ours! VestaFire Entertainment on TV again! We had an amazing show on Aug 4th 2012 for the Parksville Beach Festival! Shaw TV came and filmed the show, as well as interviewed us. We’re so excited to share the segment with you all! Here it is! 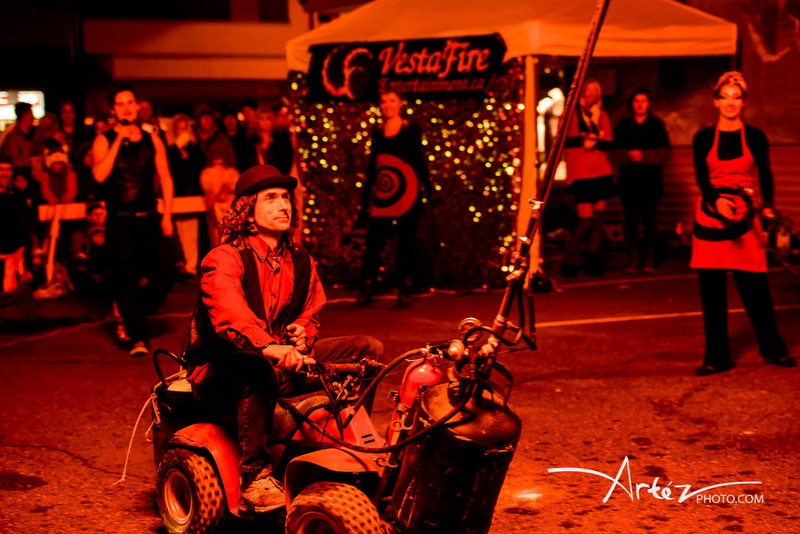 Here’s ShawTV’s news segment on VestaFire’s Fire Show Aug 4th 2012 at Parksville Beach Festival!